In honor of Mr. Peabody & Sherman’s upcoming release, we’re talking a lot about history this week! On Monday, we shared with you a really easy and fun Time Capsule movie craft for kids. 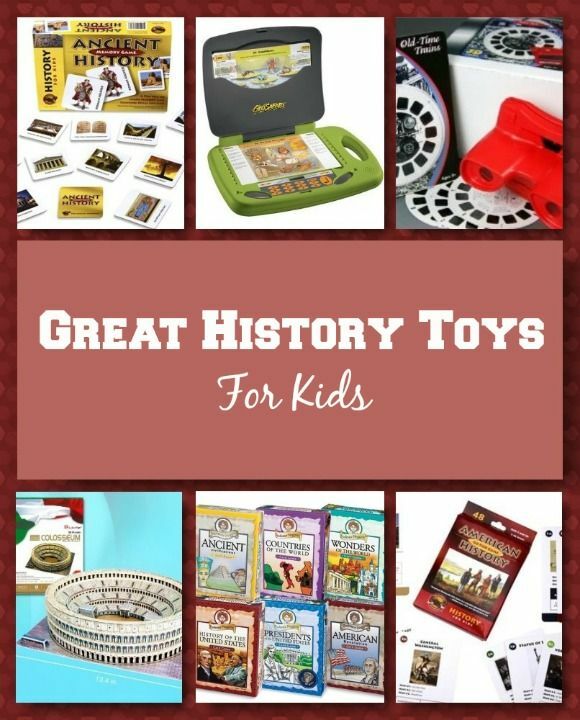 Today, we’re talking about great history toys for kids that teach about the past. In Mr. Peabody & Sherman, the title characters travel all throughout history. They’re trying to fix what Sherman goofed up when he used the time machine to impress a girl. It seems that many schools kind of put off teaching kids about history until the later grades. While teaching kids how to read and working on their number skills is definitely important, I’ve always felt that these things can be taught alongside a bit of history. That way, schools are setting a foundation early. 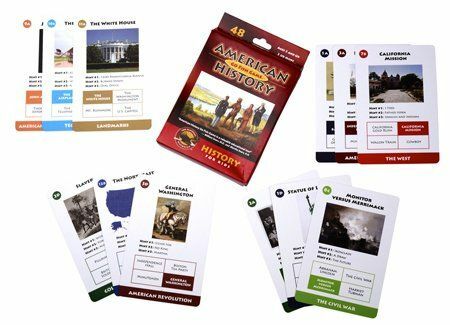 If your schools slack on history until 3rd grade or later, you may want to supplement at home with these fun toys for kids. This was a tough one, as there just aren’t enough toys for kids out there that teach about history! Still, I managed to find a few. Check them out! Teach your kids about history with this interesting twist on the classic Go Fish game. The 48 cards show historical people, places, events, symbols and so on. Collect four cards from each category to score. The game also comes in several other historical time periods, like ancient history and medieval times. My son has this one and he loves it. It’s a great mix of history, geography, science and more. Kids answer questions on the cards and play different learning games. It comes with 63 two-sided cards. These award-winning games contain cards filled with True/False, trivia and multiple choice questions. 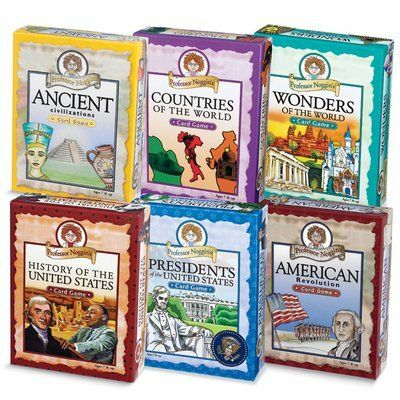 Set of six games includes the following topics: History of the United States, Wonders of the World, Ancient Civilizations, American Revolution, Presidents of the United States and Countries of the World. 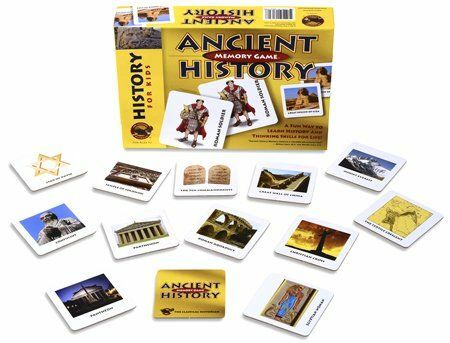 This Memory game teaches kids about ancient history by presenting them with 64 tiles covering people, places and events from way back when. It also comes in an American history and a Medieval history version. Remember the View Master from when we were kids? 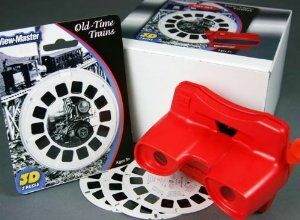 Well, now your kids can view old-time trains on an old-time View Master! Okay, so I don’t know how much the View Master has changed over the years, but I’ll always love the classic look of the original. When I was little, I won my first View Master on a local kid’s show called Hatchy Milatchy. Teaching kids about old trains opens up a wonderful window of opportunity to talk about the Wild West, how railroads helped develop the country and so much more. 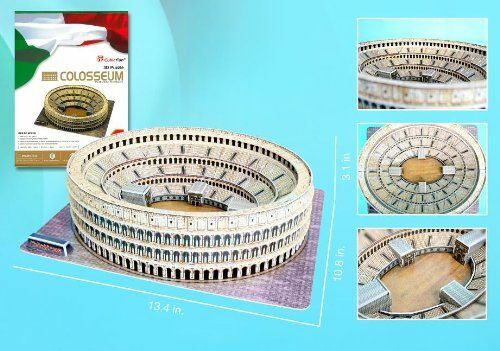 I’m using this one as an example, but really, any 3D puzzle of a historical place is a great way to teach kids about history. Take some time to read up on your puzzle choice. Then as you’re helping your kids build it, talk about what you learned. By reading about it and actually doing a hands-on task that involves the historical building, it really helps kids remember the lesson. Do you know of any other history toys for kids to help them delve into the past while having fun? Oh my! The 3D puzzle is so neat! View Masters are so much fun! Mr Peabody & Sherman is going to be a fantastic movie! Of course I remember the view master! I used to spend hours looking at the scenes etc. I think all of the above toys would be great to help children learn history which tends to be boring when taught in school. These would get them interested while enjoying themselves. 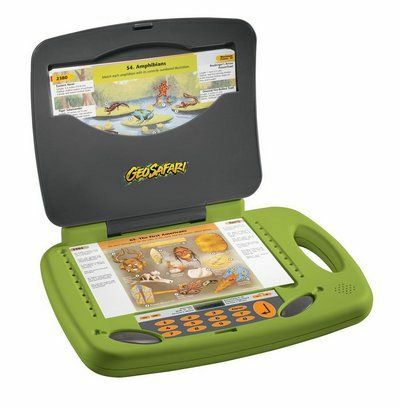 I know I sure could have used one on geography way back when!! I remember view finders! Great blast from the past…good times. I used to love watching Mr. Peabody & Sherman when I was a child.